This is the first time that SUNTELLITE Group appeared in the form of Multi-Industry. 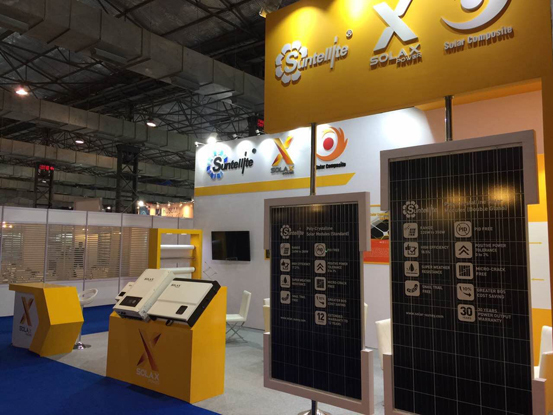 Since most of local Indian module manufacturer imported Solar cells and EVA materials from China, Suntellite solar panel and EVA of Solar Composite Brand had received a great attention on the Exhibition. Relying on strong group backgroud we already signed a cooperation agreement with local EPC company.